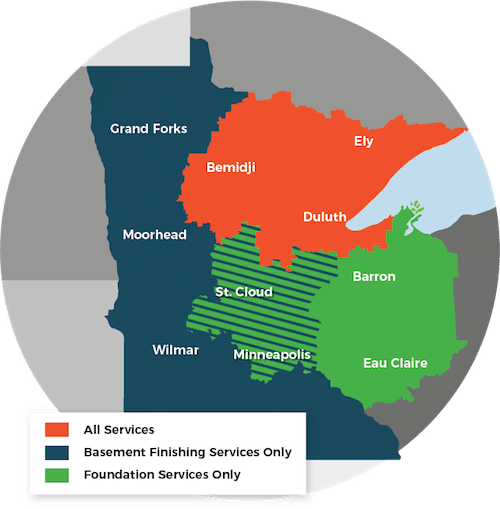 DBS provides a limited warranty on ThermalDry® Basement Flooring in Cloquet, Two Harbors, Hermantown, St. Paul, Esko, Virginia, Ashland and areas nearby. Contact us if you are interested in having ThermalDry® flooring installed in your basement. For a free estimate in Duluth, Superior, Minneapolis and surrounding areas in Minnesota and Wisconsin, call us today!